Belt Doctor: WHY are we expanding our Product Offerings in Conveyor Belting ? 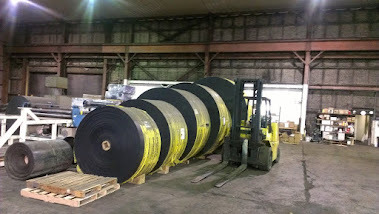 WHY are we expanding our Product Offerings in Conveyor Belting ? "Change is not always Bad - especially when it serves to give the customers what they expect and deserve - and that is our ultimate objective"
" And this is why we are changing our direction!" There have been a lot of changes going on in the Heavy Conveyor Belt World the last 6-8 years or so ... and most of them have not had the Customer in mind, in fact the least of their motivations was improving the product or level of service for the customer. At the center of many of the acquisitions, mergers, and changes in strategy have been the goal of making money, keeping stockholders happy, and creating a bigger piece of the pie for themselves. Most of the time when greed and self service are at the center of change, the customer and end user of the product ends up with the short end of the straw. 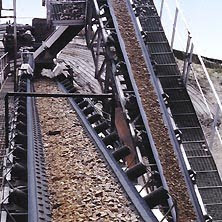 In so many of these circumstances over the last many years, the Conveyor Belt end users have been taken for granted, had quality and performance manipulated, and have seen lead times be pushed out while raising prices without clear justification of raw material increases. It has been a perplexing time to be both a participant as well as an observer in the Heavy Weight Conveyor Belt business. 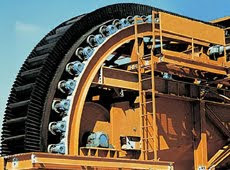 Let's be brutally honest, when Investment Bankers and Hedge Fund Companies buy a Conveyor Belt company, it's not to "make a long term commitment to invest and make conveyor belting" - it is to play with the cost structure, reduce overhead and personnel and run for a period of years to maximize the ROI and then get out. This creates a formula that results in factories not being updated, cap-ex projects being ignored and the loss of good personnel with years of critical experience being eliminated or leaving. For those of us who have blindly hung in there, worked our tails off to create dominance in a marketplace so groups could buy one another and then see our role marginalized for political and convenience - well change is the only direction that makes sense for both us and our well deserving customers! This has created a perfect storm for a "Group" like Advanced Rubber Technologies. We are flexible, we are nimble, we are accustom to rolling up our sleeves and getting dirty, and we have at the very center of our mission statement - " providing solutions "! When we are getting only some orders within large customers, and time and time again see our competitors taking these customers for granted, not servicing them, and simply taking orders while ignoring increasing lead times and passing on escalating pricing without explanations - its time to step up and get the customer what they deserve and desire. 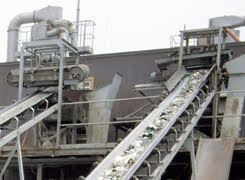 To accomplish these things we need to be selective in our Conveyor Belt Brands, be vigilant in our commitment to service, and offer fair pricing that still allows us to be a growing organization but at the same time delivers a lower acquisition target for our customer. It is a Win / Win formula for us, the customer, and the application process. We increase our depth of penetration into an account, the customer gets lower cost, increased performance, and longer belt life. It meets everyone's expectations except the vendors that have been part of the fraternity of the habitual Distributor and Belt Manufacturers that have lost site of why they got in the Conveyor Belt business to begin with - WE HAVEN'T! We came out of the Gate with a bang ... taking care of an old customer who had relocated and changed jobs, but remembered the belt distributor and the mechanical millwright group that always was there to roll up their sleeves during emergencies and outages. So a 3.5 mile ( 18, 264 ft.) order for Steel Cable belt and a 45 day installation project was our first notch in the belt with Duraline and we are off and running. Since then, more Steel Cable orders, orders for Fabric belt, and more projects and challenges on the horizon. We are equipped for the most challenging applications as well as the basic material handling requirements. We have you covered! So here we come .... ready to serve and meet our customer's needs and expectations!